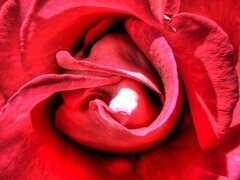 No wonder why it is the red rose the most used flower to express love. Same about hearts and souls at that moment when the present is given or received. No es de sorprender que sea la rosa roja la flor más usada para expresar amor. Así como el alma, en el momento en que el regalo se ofrece o se recibe.